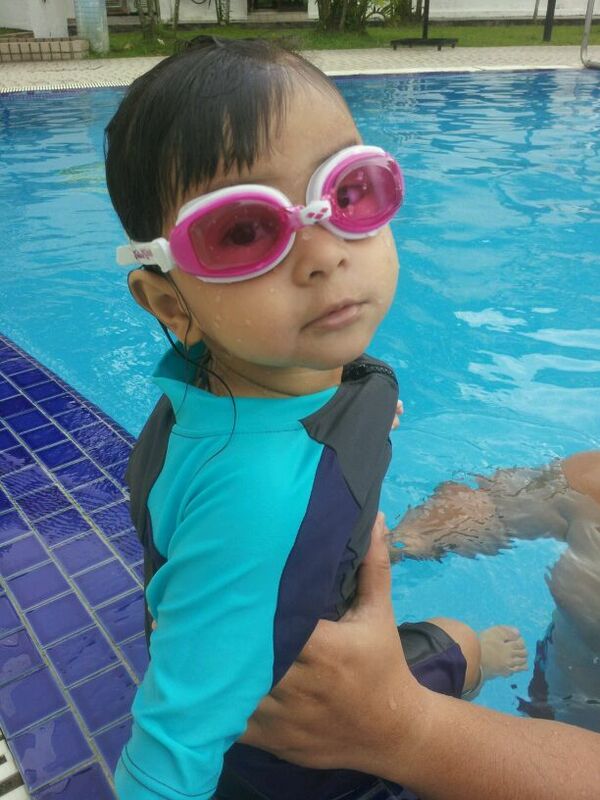 Yesterday marks the second month of Aulia' swimming lesson. She was 22 months old. It went pretty well. I wasn't so keen on all the chemicals in the water, but what do you do when you've got lots of kid's in a pool together! All those wees! I was quite surprised. 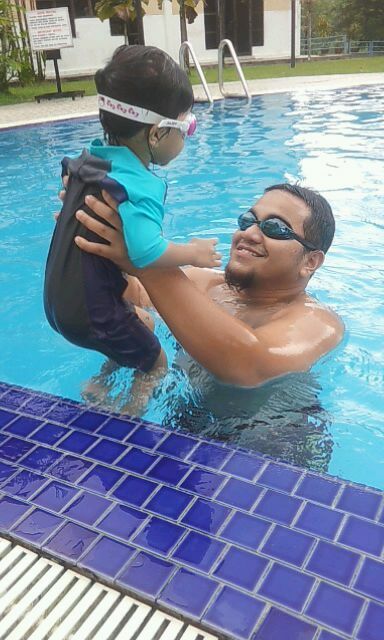 I wasn't expecting it to happen in her second month lesson- the instructors giving Aulia' her first underwater experience. Her instructor let Aulia' play for a while, practice jumping activities in the water until her eyes level while making an eye contact with her papa. 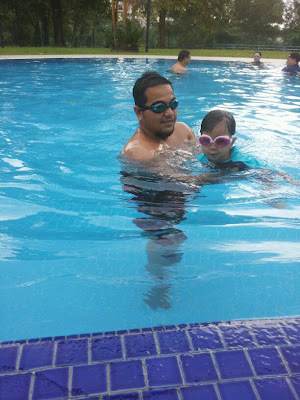 Hubby just need to raise her a little bit and gently put her under the water. 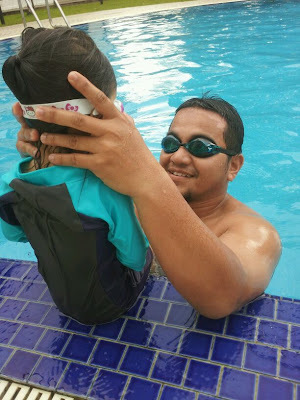 At home, we was watching movies of kids swimming and we talked about how much fun it is and how we love going under water. In that way, she can be mentally prepared and feel excited on what we are going to do today. All we need is her to be comfortable and playful. Hubby then counted to three, said Aulia's name for the signal, blew in her face and then lowered her under the water and gently moved her towards me while being supervised by the instructor. Those instructors know the score.. They know that freaked out parents are far more common than freaked out babies. 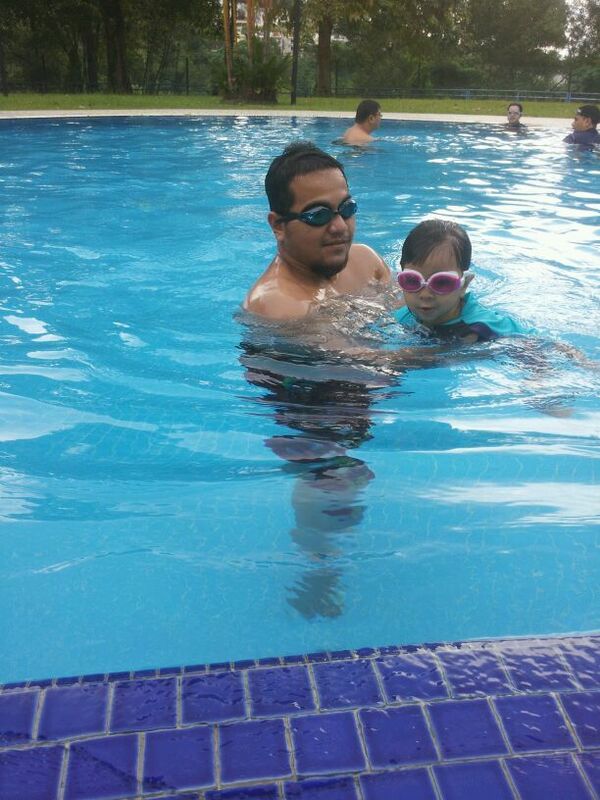 Aulia' was, for the most part, just fine about going under the water. 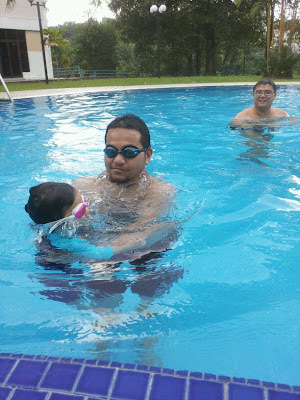 She looked a bit startled when she came up and into her papa's arm, but got over it really quickly. All and all, I was so proud of my brave little girl and now I wish I had a pool in our backyard so that I can 'homeschooled' her every day..oh yes and I need a superpower camera so that I can take a lot of pictures of Aulia' swimming underwater again in the future..
And maybe to answer some of my friend question, can Aulia' swim? Well, not alone though. She still need an adult to supervise and hold her. But she sure can submerge for a short period of time and can understand what she's suppose to do.